A right is a promise made to people by governments. Rights are supposed to make sure that everybody is treated equally and fairly. Rights are about having the opportunity to be involved, to participate and be included in things that affect us. It is important that your rights are respected but it is also important that you respect other people’s rights. If you are a child or young person you can find out more information here. The United Nations (UN) is a group of 191 countries. They work together on a number of issues which affect everyone. To help with this they created a list of rights everyone should have. There is one set of rights that is for children and young people. This is called the United Nations Convention on the Rights of the Child (sometimes called the UNCRC). The UNCRC is a list of 42 promises made by governments from almost all countries (except the USA and South Sudan) in the UN to children and young people, including the right to education, equal treatment and the right to an opinion. All governments who have signed the UNCRC are supposed to work to make it part of their law. What can the Commissioner do? It is part of the Commissioner’s job to make sure that any work we do matches these rights and that government does all it can for children and young people. To do this the Commissioner is working towards bringing the UNCRC and all its promises into our law, making sure that children and young people know and understand the rights in the Convention and that Government uphold these rights. 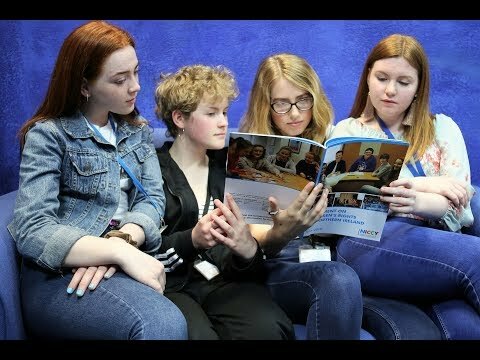 We can do this by supporting children and young people to get involved through new and fun ways to learn about their rights, and talking to us if they think they are not receiving their rights.